Friends of Historic Allen Chapel formed in 1997 to save Terre Haute’s oldest African American church. Now, more than two decades later, the work is nearly done. Many preservation saves develop slowly over time. 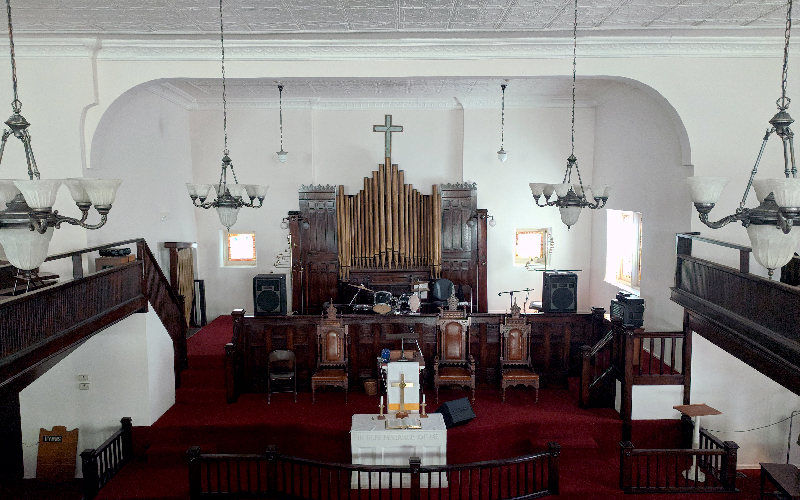 Case in point: restoration of Allen Chapel AME Church in Terre Haute started more than 20 years ago, when the Friends of Historic Allen Chapel partnered with the congregation to save one of the most recognizable symbols of African American heritage in western Indiana. Today, the final phase of restoration is wrapping up, thanks to a grant from the state’s Historic Preservation Fund. Founded in 1837, Allen Chapel was the first black church in Terre Haute and remains the oldest in the region. The congregation is known for its legacy of pioneering leadership. Before the government allowed blacks to attend public schools, Allen Chapel provided one of the first subscription and public schools for black children in the United States and promoted the first black high school graduate in Indiana. The congregation sponsored prominent abolitionist speakers, including Frederick Douglass, who spoke to raise funds for construction of the congregation’s first church in 1870. After a fire destroyed the building in 1913, the congregation rallied to build the current church the next year. Urban renewal decimated the residential neighborhood surrounding Allen Chapel in the 1960s and ‘70s. As membership in the congregation declined, funding the building’s maintenance became a challenge. 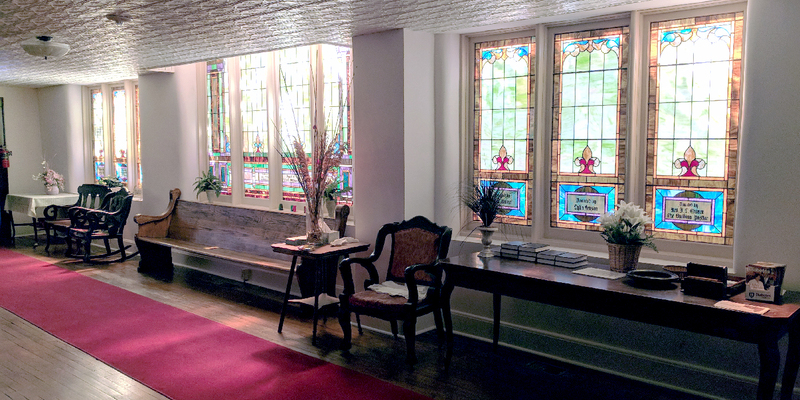 By the time the Friends of Historic Allen Chapel formed in 1997, years of moisture infiltration had caused severe damage. 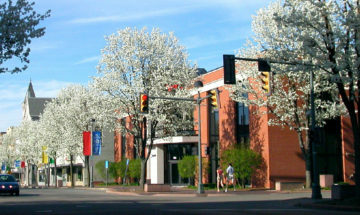 Early financial support from Indiana Landmarks allowed the Friends to mobilize. Guided by an architectural assessment and restoration plan, over the next two decades the volunteer-led group ticked off projects one by one, backed by unwavering support from the congregation and community. 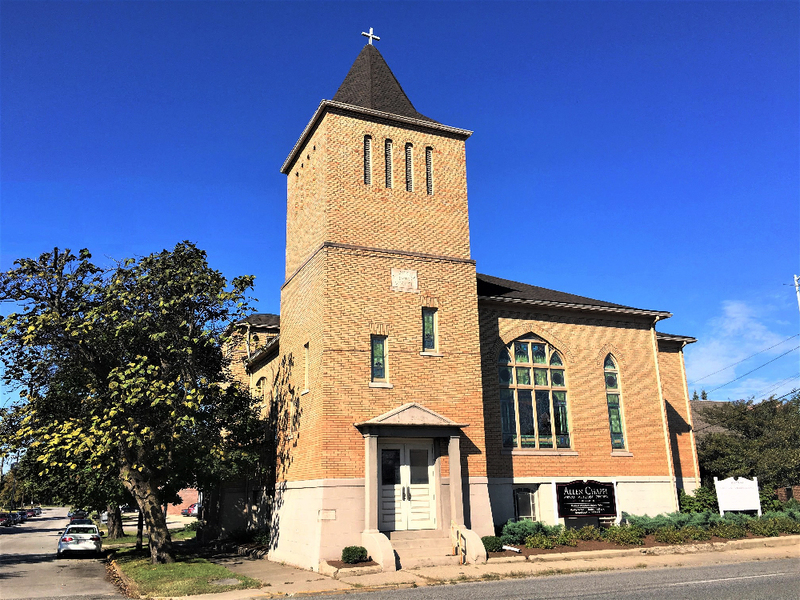 Restoration work included masonry repairs, stained glass window restoration, a new roof, updated electrical and HVAC systems, construction of a new kitchen, and ADA accessibility improvements, including a new accessible entrance, interior ramp, accessible restrooms, and wheelchair lift. 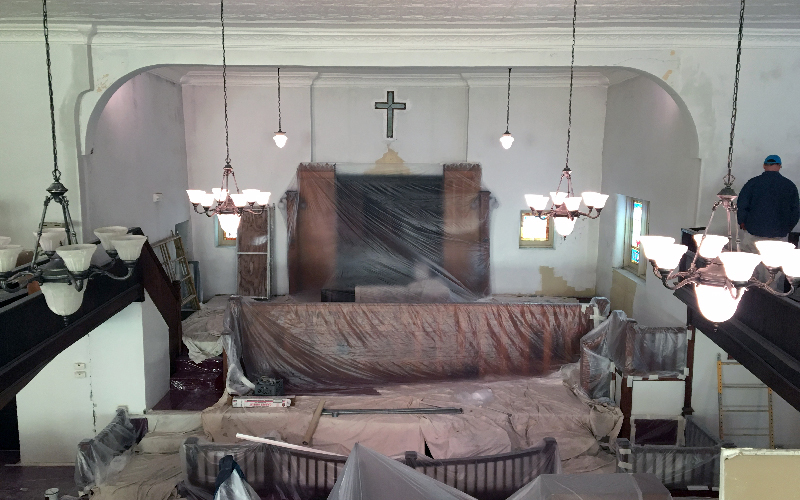 The final phase of restoration at Allen Chapel included restoring interior plaster and refinishing doors, trim, railings, and other architectural features in the sanctuary. 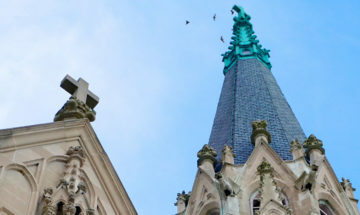 Throughout the long process, Indiana Landmarks offered ongoing support – providing design advice, connecting the Friends group with experienced contractors, acting as project manager, and helping write the proposal for the Historic Preservation Fund Grant. 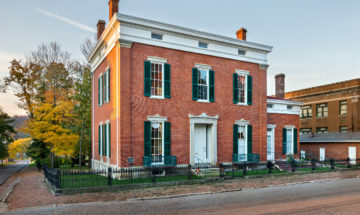 A generous grant from the Wabash Community Foundation and a gift from a private donor helped the Friends group match the state preservation grant. Although some detail work remains, completion of the final major repairs marks a momentous point in Allen Chapel’s restoration. On September 8, the congregation showed off the latest improvements during its annual barbecue. To learn more about the church and its restoration, contact Indiana Landmarks’ Western Regional Office, 812-232-4534, west@indianalandmarks.org.